In a digital world, practically every business you can think of has a presence on social media. It can be a fantastic way to connect with your customers and create interest in your brand. As with many aspects of marketing, patience is key! 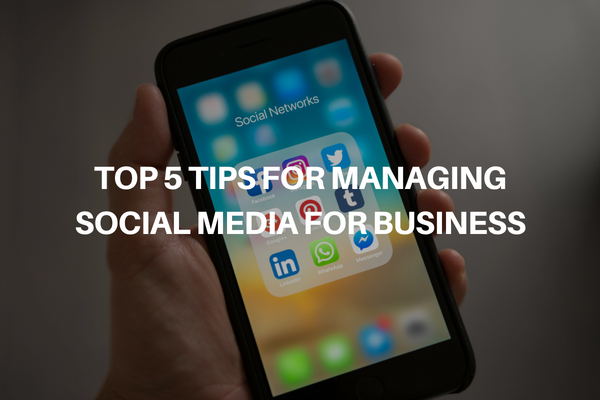 However, there are some important points to bear in mind that can make your social media experience run smoothly. Look at the platforms your competitors are on and see how much engagement they have. If they’ve given up on an account or seem to be struggling to generate interest, you may encounter the same issues. If you have a smaller team, it may be best to pick one platform to start off with and then move on to the others once this is under your belt. Swarfega – proof that any product can have a great Facebook page! While it’s important not to become a carbon copy of your competitors, you can still learn from them! A social media feed that only shares one type of content (e.g. sell, sell, sell) gets boring pretty quickly. People need a reason to follow you! It’s also important to engage people in conversation. Reply to every comment (except for trolls, see below) and comment on posts you find interesting. At some point every social media manager must deal with negative comments. This is because channels such as Twitter are now seen as a quick and easy way to contact companies and get issues resolved quickly. The most important thing is that you’re seen to acknowledge complaints. Make it clear to the person in question, and other potential customers, that you’re understanding and helpful. Then, move the conversation to a private channel. If the customer continues to reply with more frustrations, repeat that you’d like to help and ask them to send the details you need to do so. If they continue to complain without any attempt to engage with you or they become abusive, stop engaging with them. Although annoyed customers can sometimes sound like trolls, there’s a big difference. Hootsuite has a great guide to spotting, and dealing with, trolls. Want to learn more about social media or digital marketing? Fidelity eLearning provides a range of digital marketing courses for all level. See our marketing course pages for more information. You can also call one of our expert advisers on 0333 009 4009 or email elearning@fidelity-group.co.uk to get help finding the right course for you.